This entry was posted on March 11, 2015 by Marco Rivera. As part of Patch of Land’s investor education initiative, we’ve created this article describing the difference between two common ways of evaluating the risk of a loan as it relates to a residential property - LTV and ARV. The relevance of LTV for a real estate crowdfunding portal like Patch of Land is to evaluate the risk associated with a particular loan. If a Borrower puts “skin in the game” by making a financial contribution and no renovations are being performed on a property, it means the Borrower is actually putting more money down. This differs from putting money down in a typical rehab fix and flip loan because the Borrower will need to use a portion of the loan for rehab costs. Additionally, where a Borrower will already have an end-buyer under contract, the chances that a loan will be repaid are higher. (Note though that end-sale contracts may sometimes fall through for various reasons). The Loan to Value Ratio (LTV) represents an amount borrowed as compared to cost, or value, of the property being purchased. The value of collateral (the denominator) of the formula for the LTV ratio depends on the type of loan. An important detail in determining any LTV ratio is the determination of the denominator, or “value of collateral” amount. Patch of Land does not use drive-by appraisals to assess the value of collateral. Instead we commission a full walkthrough appraisal of the loan property from independent national third-party appraisal companies that provide an “As-Is” and “subject-to” value under purview of USPAP and FNMA forms to determine the value of collateral for mortgages, land, and commercial real estate. Patch of Land also requires that the LTV not exceed 80% of the property value, meaning a minimum down payment of 20% is needed from the borrower in order for us to consider the loan. Example: Susan borrows $80,000 of the total $100,000 purchase price of her home. The loan-to-value ratio is 80%. Patch of Land offers Borrowers loans based on ARV as well. The ARV is an estimated value of a property after renovations. Amongst other variables, a confident and reasonable estimation of the ARV is done by assessing several comparable homes in the area during the previous six months. Once the ARV is determined, Patch of Land will typically lend up to 70% of the ARV with a 20% down payment depending on the strength of the borrower and the overall projections of the project. Example: Steve wants to borrow money for a fix and flip rehab project. Patch of Land determines the property in question would sell for $500,000 on the market. Patch of Land will lend up to 70% of that amount ($350,000) to purchase the house and to do any needed repairs. Many professional developers use what they call the 70% rule to account for the points they will have to pay up front for the loan, along with their projected renovation costs. For added protection, Patch of Land will set up "draws" so that the funds are released at different stages of the rehabilitation process. For many rehabbers the 70% rule helps to insure against unnecessary risks because that amount will typically result in a profit, or in a worst-case scenario a breakeven point for the project. So who's the winner? Well, it's all in the numbers. 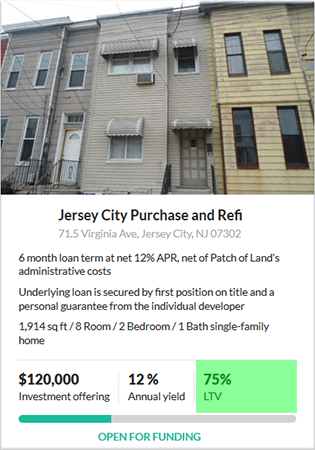 Remember, Patch of Land will typically loan no more than 70% ARV, but is comfortable going as high as 80% for LTV. Therefore, it’s normal for an LTV percentage to be greater than an ARV percentage on a loan. However, don't just rely on the percentage of LTV or ARV. Similar to other lending risk assessment ratios, the LTV and ARV are not comprehensive enough to be the only criteria used in assessing real estate risk. Patch of Land performs a stringent due diligence process and, by being completely transparent, we encourage our investors to do the same. We know that's easier said than done, but at least now you'll be able to compute the ARV and LTV on your own! What's your assessment of LTV vs ARV? How do these ratios factor into your due diligence and overall decision-making process? Leave a comment and let us know what you think. For updated information on LTV vs. ARV, please check out our 2017 post. 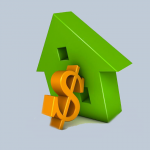 This entry was posted in Q&A From the Patch and tagged LTV, After Repair Value, Loan to Value Ratio, investing in real estate, real estate investing, ARV on March 11, 2015 by Marco Rivera. There is an awesome real estate app I use called Realbench that calculates the loan to value ratio and gives you green or red signals, it also calculates tons of other real estate indicators. You can get it at http://realbench.net, or just go to the Apple Store or Google Play and search for Realbench, in this time and age we don't have to calculate this stuff manually anymore. Thanks for this great info about LTV and ARV, It helps in many ways to many people for real estate investing.